Great news, today we are pleased to be releasing Facial Studio v3 (Windows Edition) as well as a new Essential version. 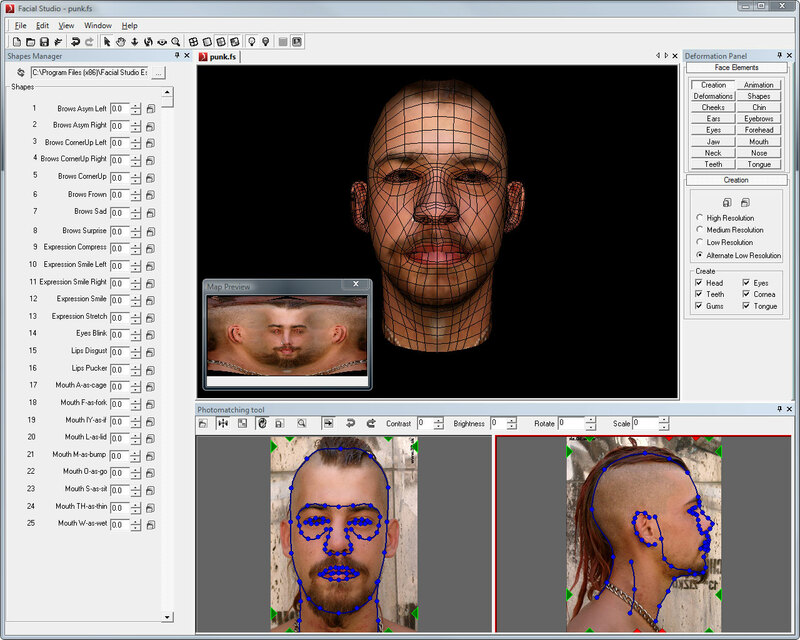 Facial Studio (Windows Edition) was initially released seven years ago, and as of today Facial Studio is still at the forefront of creating high-end 3d head and can rapidly be integrated in your workflows. - PhotoMatching tool, Easily create 3D heads from photos and tweak them in your favorite 3D software along with facial deformations. Facial Studio v3 (Windows Edition) is available for only $499.00 and comes with floating licensing options at no additional cost. Facial Studio Essential (Windows Edition) is basically a slim down version of the full version and is available for only $199.00 Compare the features available between different versions of Facial Studio.